* DatapointLabs would like to acknowledge the contribution of Jennifer Borshoff, who performed some of the work presented, and the support of Rajesh Bhaskaran, Senior Lecturer and Swanson Director of Engineering Simulation at Cornell University, School of Mechanical & Aerospace Engineering. 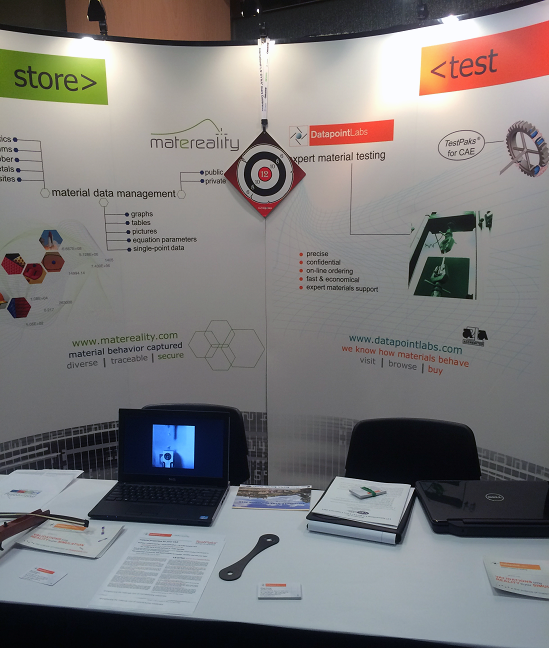 DatapointLabs+Matereality together presented advances in material testing and material data management at recent industry events. If you're using Digimat-MX software, there is no need for you to perform the reverse engineering process required to prepare your FEA material card to account for the influence of the manufacturing process on material properties. Along with your test data, you get a formatted material card for the selected Digimat-MX material model, ready for you to use. See all of our Digmat-MX TestPaks in our online Test Catalog.